The Smelling Bottles are used to refine the olfactory sense through matching. 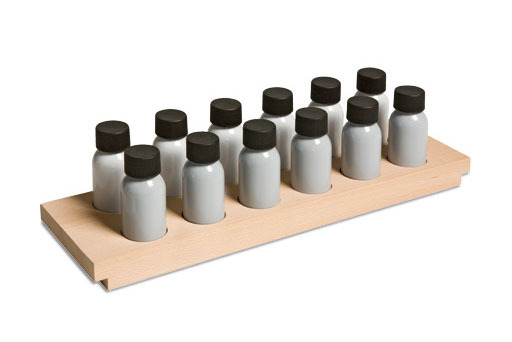 The set consists of a wooden tray that holds 12 glass bottles – 6 coloured dark grey, 6 coloured light grey. The teacher prepares the bottles with a variety of pairs of scents.